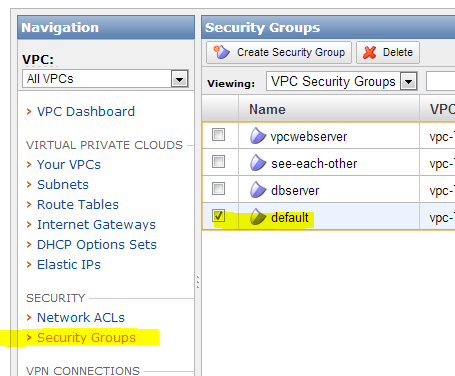 This guide assumes you already have a VPC set with a NAT acting as a gateway to a private subnet. 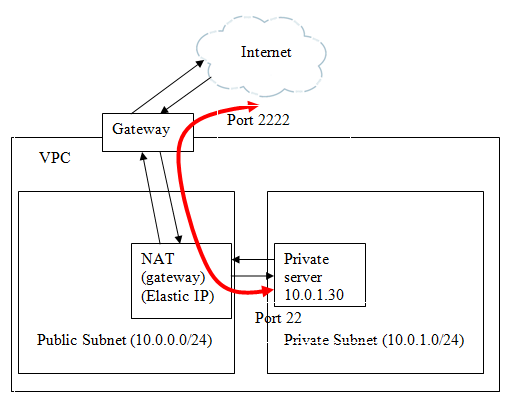 In this example I want to port forward port 2222 from the NAT to port 22 on an instance in the private subnet. To accomplish this I am going to us IPtables from within my NAT instance. Click on the Inbound Tag. 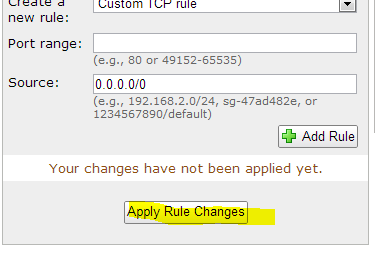 Select Custom TCP Rule. 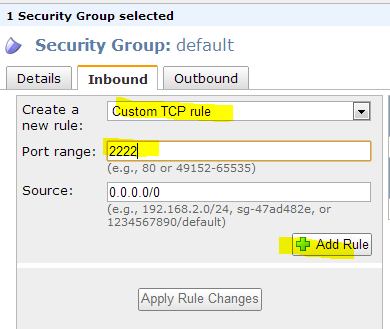 Enter 2222 and click Add Rule. From outside the system SSH into the system using port 2222 to forward to the system in the private subnet. Great, now how do you save it so it doesn't get cleared on reboot?